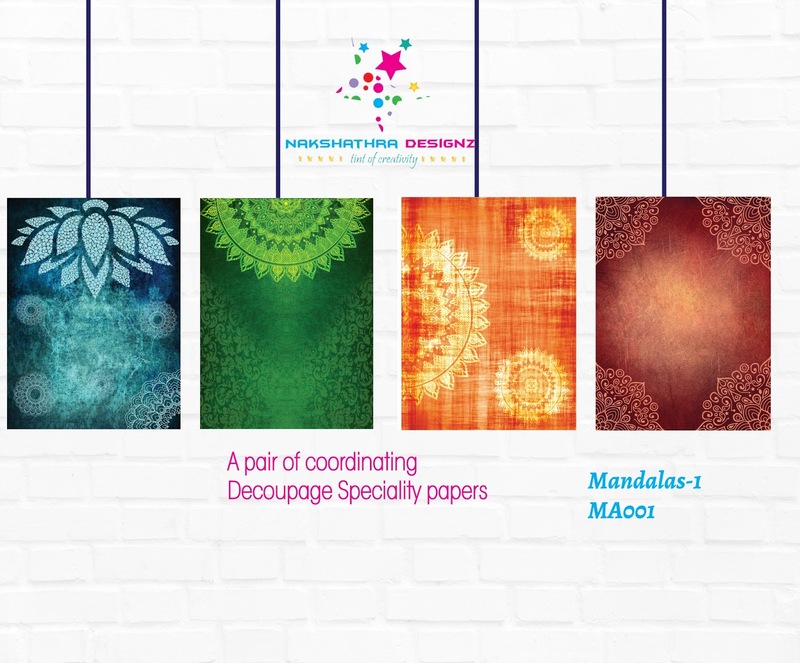 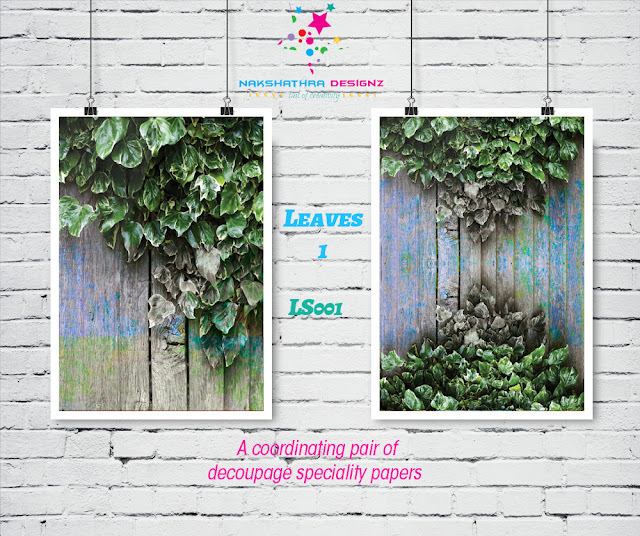 Hello Friends!Am so excited in launching new products for this month.Yes We are launching Decoupage specialty papers in 9*12 inch size in eight different set of designs for this month.Each design is designed very uniquely in a way that your decoupaged project looks amazing and trendy in its own way. 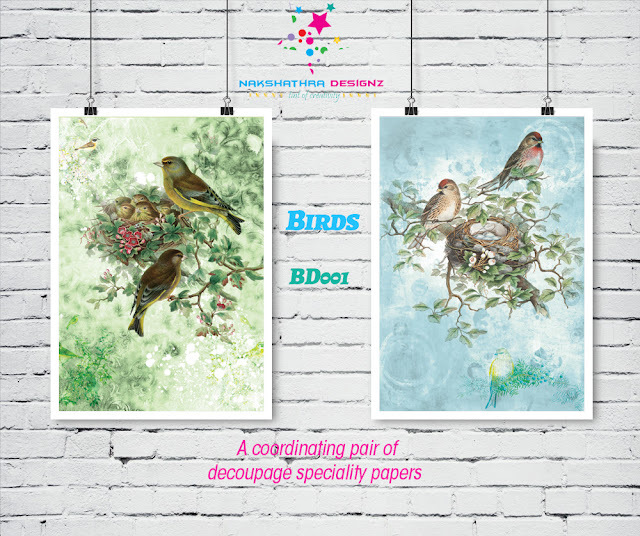 A pair of coordinating set of birds decoupage paper in drooling colors.Aren't they amazing!Well suited for any type of projects .Personally its very special as its my first designed papers when Decoupage papers stricked my mind .It has lovey textures in the background and the colors are lovely right! 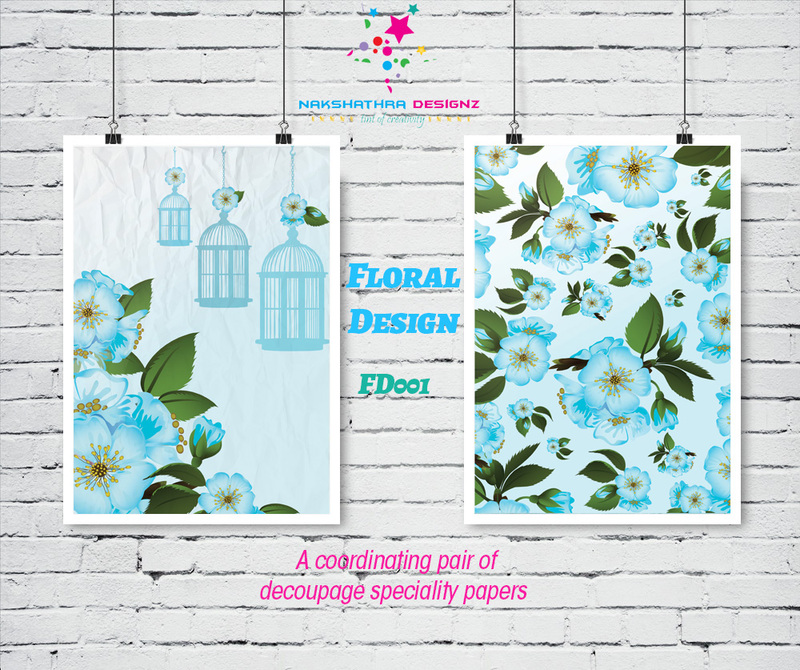 The second set is a beautiful floral realistic design in mesmerizing blue shade that anyone will fall in love with this set. 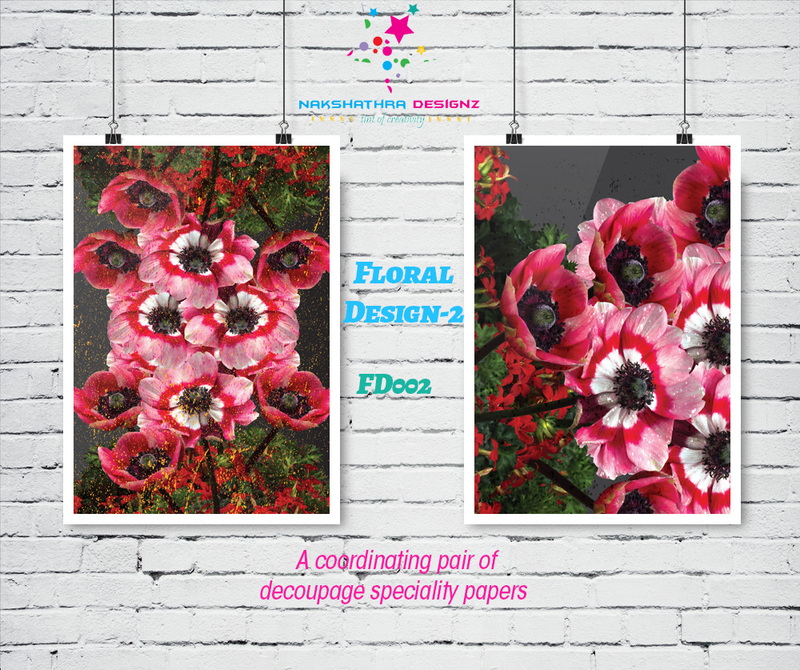 Third set is attractive floral design with beautiful poppies in pinkish red shade and gradient black background.See how beautiful they are with paint splashes all around.It requires no rework while we are using on our projects.Such an attractive set this is! Fourth set is the leaves with the woodgrain background and colors chosen is fabulous isn't it!This papers looks amazing on any projects .Endless possibilities with these papers. 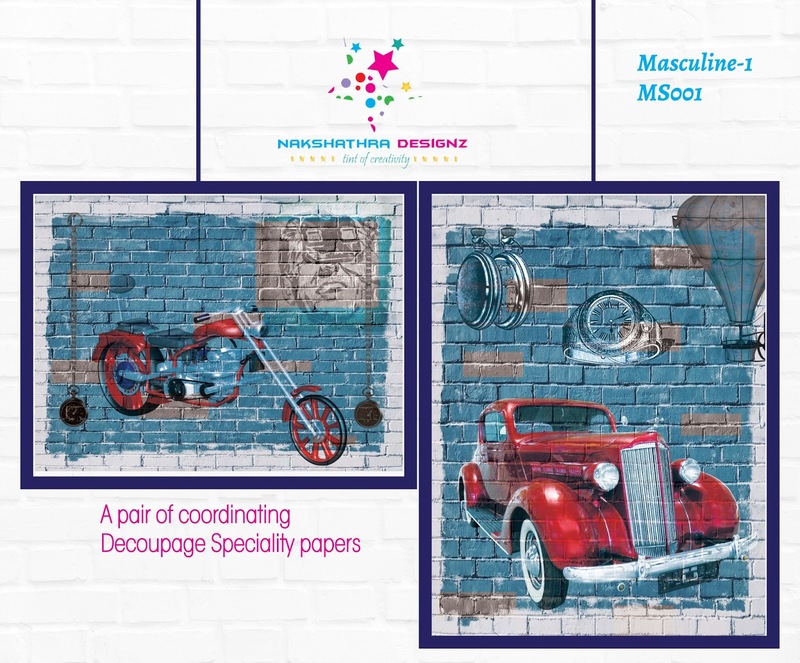 Well the sixth set is masculine theme papers in a different scheme than the usual vintage brown look.hope you all will love this unique design. 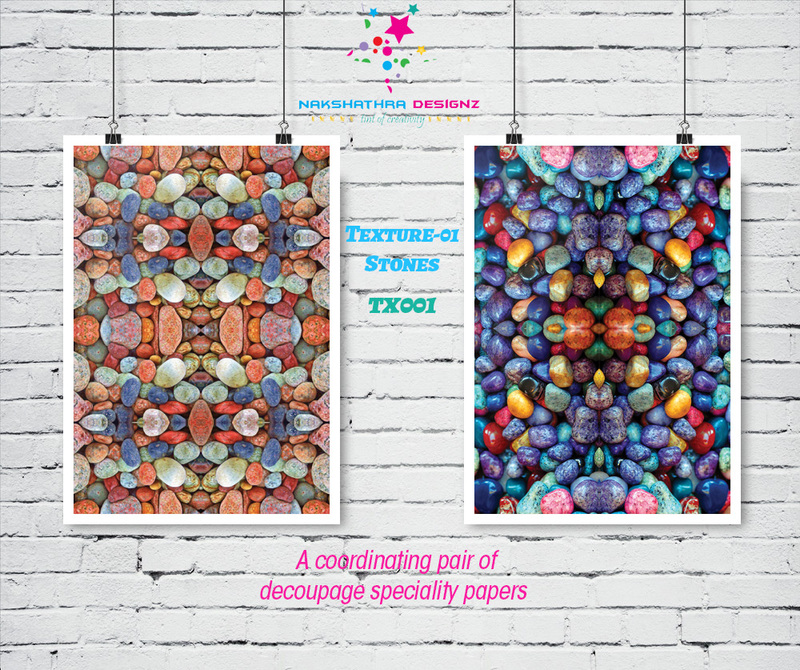 Seventh set is texture papers with fascinating colorful stones background in such a realistic way.It will definitely adorn any projects to give a 3D look.A must try paper for unique look. 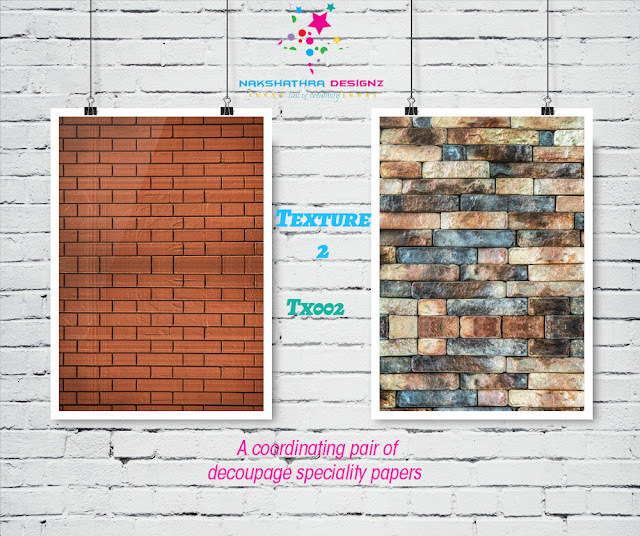 Last set is texture papers with vibrant bricks background.